What do you do with your pets when you’re selling your home? When your home is offered for sale, lots of strangers will be walking through your home, and that can cause distress for even the most mild-mannered pet. A pet in the house during a showing can cause some potential buyers to rush through the house out of fear or allergies. You also run the risk that a careless agent might accidentally let the pet out of the house. Take your pet to the park, a friend’s house, or doggie day care during the time when showings are happening. Let a dog romp in the backyard if it’s fenced, being sure to leave a note for agents who show the house that a dog is outside so they don’t get surprised if they show the yard. Lock the pet in a room or the garage for the day. Be sure to leave enough food and water for him or her, and be sure to tell showing agents that they can come back and see the locked room at another time if their clients are interested in the house. Some pets enjoy showings and are well behaved with strangers. This article by the National Association of Realtors says that having a pet in your home while you’re showing it might actually help the house to sell faster! Consider leaving a bowl of treats with a note on your front porch. Be sure that you’ve removed any pet hair, pet smell, and pet messes prior to any showings! By hiring a REALTOR(R) that uses a showing center to schedule appointments you’ll ensure that you’ll be aware of all appointments and you’ll be able to cancel or reschedule a showing if nobody is able to pen the pets for a showing. 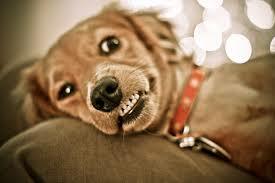 You’ll also want to make sure that you keep your pets well groomed, brushed and bathed. Make sure to vacuum up any shedding and always check for pet “messes”. FIRE US if we’re not doing a GREAT job! Around certain neighborhoods, there are legends of realtors that locked sellers into long contracts – sometimes 12 months or more – and then didn’t show up ever again. Homeowners tell these stories with trepidation – How will they ever sell their homes when there are unscrupulous realtors who don’t provide any of the marketing they promised and won’t let the sellers out of their contract? Disappointed would-be sellers whisper about phones that rang and rang but no one answered, listings that had errors, open houses that were never held, and all manner of horrible service. It’s very scary selling a home. It’s hard to trust a realtor to do what they say they’re going to do, especially when you’re locked into a lengthly contract with them. 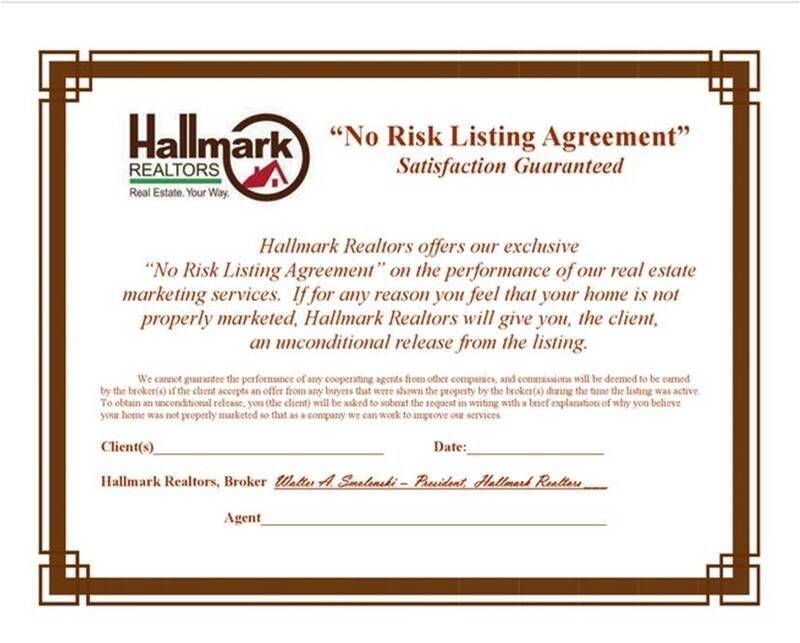 Team Zuhl and Hallmark Realtors are happy to offer you a No Risk Listing Guarantee. If for any reason you feel that your home is not being properly marketed, we will give you an unconditional release from the listing. You can relax, knowing that you won’t be locked into a lengthy contract and enjoy the caliber of service of agents who are confident enough to make this offer! How can we do this? Because we know that we provide service that is unparalleled. We know that our clients deserve the best service possible, so we commit ourselves to being the best service providers. Curious? Have questions? Call us at 908-917-4189. We won’t make you sign anything unless you’re sure we’re the right agents for you!